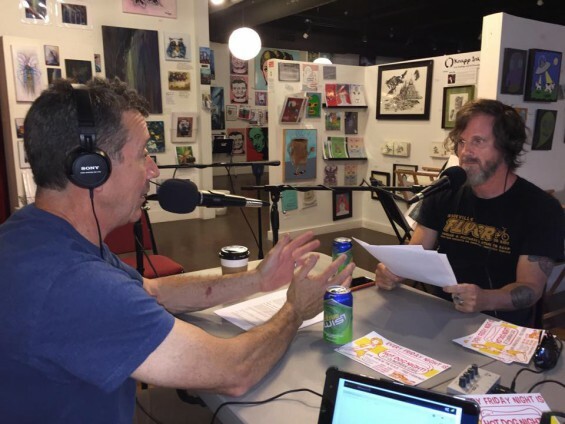 As you know, every other Tuesday, Chef Joe Scully and I get together to deliver the local Food News, talk to special guests, and discuss food-related topics in general on the fasted growing podcast in Asheville, AVL Food Fans! Our guest is Chef Liam Luttrell-Rowland who is the Chef of the Edington Center and the Lead Trainer for the Green Opportunities‘ GO-Kitchen Ready program! Chef Liam has been cooking for over 15 years, with past positions including Pastry Chef of the The Admiral, Sous Chef for Brewster Fish House, and Chef De Cuisine at the BlackFish. More recently he’s been featured by the Blind Pig Supper Club and Southern Living. 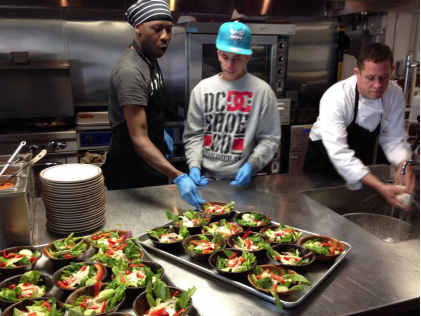 Chef Liam has even cooked for celebrities like Owen Wilson and David Byrne! 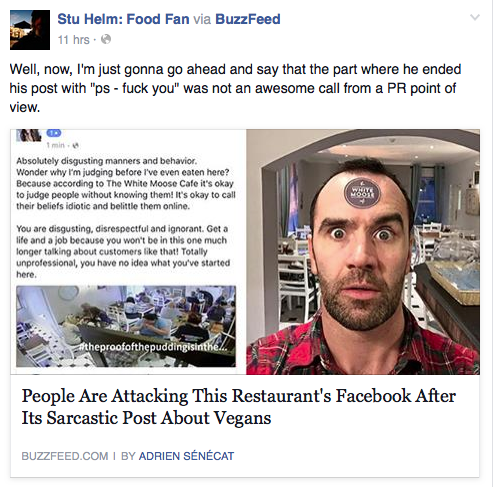 He’s a super interesting guy, and definitely one of the heroes of Asheville’s food scene! Chef Liam (r) at the GO-Ready Kitchens! • French Broad Food Co-op is expanding big time. Adding a hotel?!? • Asheville Independent Restaurant Association‘s Taste of Asheville is coming! My fave food event of the whole year! • Coffee coming to Eagle Street? – The rumor is confirmed: PennyCup Coffee Co. is slated to open a cafe / coffee market right downtown before X-Mas! • Suzie’s Gypsy Queen deli is open. – Joe reviews the food, I say the word “tzatziki” a whole bunch. • I mention the weird Chicken Salad Chick “sexist” controversy from FaceBook last week, and call for non-gender-specific labeling of single occupancy restrooms. • There’s a CAT CAFE UPDATE! • Joe and I both give Standard Pizza a “meh” review, but agree that they should rock their new location. Using local gaffes and goofs as examples, as well as highlighting venues who did it right when faced with an “s-storm,” we explore this old cliche: Is there really no such thing as bad publicity? I say ask Jared and Jacob from Waking Life how they feel about that one. You can listen to this episode, and catch-up on past episodes by going to http://www.spreaker.com/show/avl-food-fans or look for us and subscribe for FREE through iTunes store! Thanks so much for listening! You guys have made AVL Food Fans the most popular podcast ever… about food… in Asheville. Yay! And thanks of course to Chestnut, The Corner Kitchen, Corner Kitchen Catering, ZaPow studios, and WPVM 103.7 The Voice who rebroadcast us every Friday at 5pm. 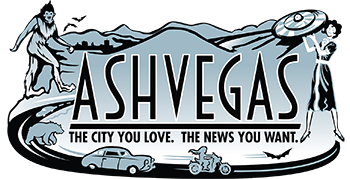 You can listen to the current and past episodes of AVL Food Fans at www.avlfoodfans.com where you can also download it. It is available for free from the iTunes store as well. Thanks as always to our Producer Matt from ZaPow studios, as well as WPVM 103.7 The Voice, who rebroadcast our show every Friday at 5pm, and of course, our underwriters, Chestnut, The Corner Kitchen, Corner Kitchen Catering, and Aloft Asheville Downtown. And thanks to our listeners! As of October 13th, 2016 we’ve had 3,698 listens, which is an average of 410+ per show! That’s great, we appreciate you guys very much!